Letters of Note: Hang on to your hat. Hang on to your hope. 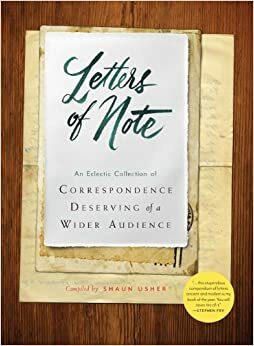 Letters of Note provides a snapshot into the faxes, memos, letters, telegrams, and any other fascinating tidbits of correspondence that Shaun Usher can get his hands on. Originally a blog-based archive, it has grown into a captivating collection of correspondence from the enigmatic to the everyday. Read more about E.B. White and Letters of Note on Brainpickings!